Are you as addicted to Instagram as we are? While it's an amazing journal of moments, memories and beautiful images, we also love the idea of bringing those photos 'offline' to enjoy! We've got four Instagram DIY ideas from Cathie & Steve in our latest edition of Make it with Mod Podge to showcase your fave snaps! This pillow is a fun way to add a personal touch into the family room, or we love it as a gift idea for grandparents! Wood grain gives an organic feel to any photo! Use this piece as a grouping in a wall gallery for maximum impact. We love the idea of using a personal photo and making several of jars for holiday gift giving - finish them off by filling them with yummy treats! Our favorite! This is a fun DIY for a new mom - this cute clutch is the perfect showcase for family memories! 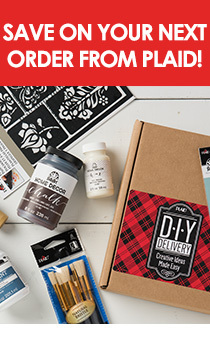 Learn from Cathie & Steve how to make all four Instagram DIYs, and subscribe to our YouTube channel to get more Make it with Mod Podge the first three Fridays of each month!